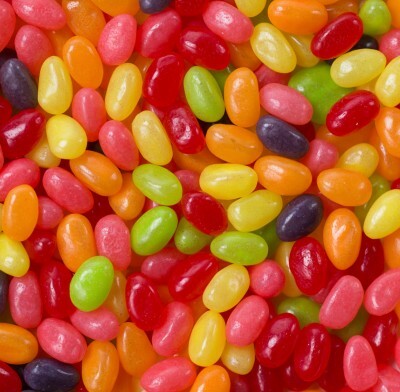 Teenee Beanee Jelly Beans Americana Medley Mix from Just Born, a coast-to-coast jelly bean tour. Comes in six geographically delicious flavors: La Jolla Lemon, Napa Grape, Chesapeake Cherry, Savannah Strawberry, Indian River Orange and Laredo Lime. With five pound packs, you can never have too many jelly beans. Sold in bulk, delivered in a 5 lb. pack. The item is Kosher Parve, but the bags do not have the symbol on them. The symbol is located on the case, which contains 2 - 5lb bags, so if the symbol must be present, please order the item in quantities of 2. If you can't find the candy or chocolate you are looking for, contact us and we will be happy to help you in any way we can.